It’s Easter Monday, and as we scroll through images on Facebook of beautiful pastel-coloured trees and photos of children surrounded by mountains of goodies brought to them by the Easter bunny, we find ourselves pondering: did we somehow miss the memo? Just when did Easter start turning into a warmer version of December 25th? Until now, Easter has always been like Christmas’s unassuming little sister — a quiet time for families to get together and overindulge on chocolate eggs and hot cross buns, and perhaps most importantly, without the stress that typically accompanies Christmas. At Christmas, there’s too much pressure — particularly on mums — to track down the must-have toy, to present the exquisitely-decorated house, to throw the best party, to look immaculate at all times, and to have the perfect happy family. Easter, by comparison, has always been much more low-key. There are no raucous parties. There’s no dressing up in fancy frocks, or evenings spent sipping mulled wine. There are no piles of prettily wrapped presents sitting under twinkling trees, or beautifully dressed dinner tables laid out with food and drink that has been under preparation for weeks. Perhaps because of the more sombre religious message underpinning it, Easter comes without such gaudy trappings. Or, at least, it used to. Type ‘Easter decorations’ into an online search engine and you’ll find everything from wreaths and crackers to Easter trees, complete with decorative egg-shaped baubles. And as visually appealing as they are, we fear that they represent the start of a slippery slope. 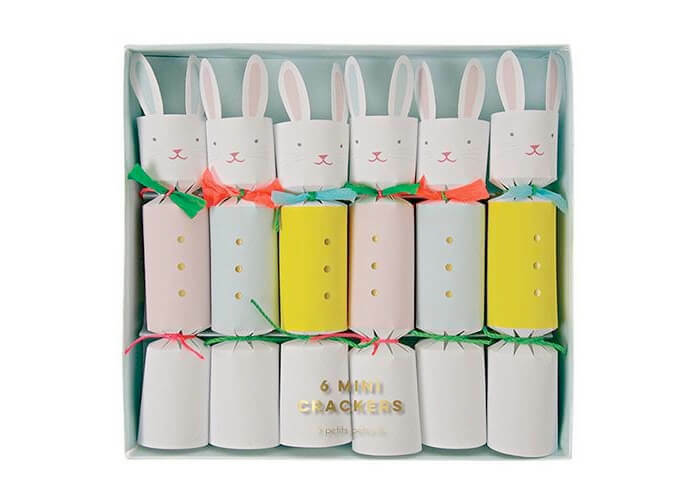 How long before we catch ourselves panic-buying Easter stocking-fillers on Good Friday, or being pestered by a toddler to visit the Easter bunny in his grotto?